Did you know the church is in prison? 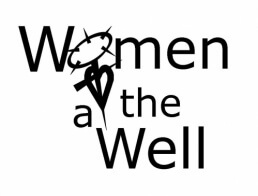 Women at the Well is our sister congregation, a United Methodist congregation within the walls of the women’s correctional institution in Mitchellville, Iowa. The pastor of this ministry, Rev. Lee Schott, will be with us on Sunday, February 26, 2017, to share with us about the ten years of weekly worship, supportive community, faith nurture groups, and aftercare we have offered to the women there. Maybe you’ll find your own place in prison—in ministry with these women, our sisters in Christ.